RBV Energy carry the largest range of long sweep manifold fittings and 4130 fittings in various worldwide stock locations. Our Long Sweep manifold fittings are forged from European fine grain AISI 4130 material. 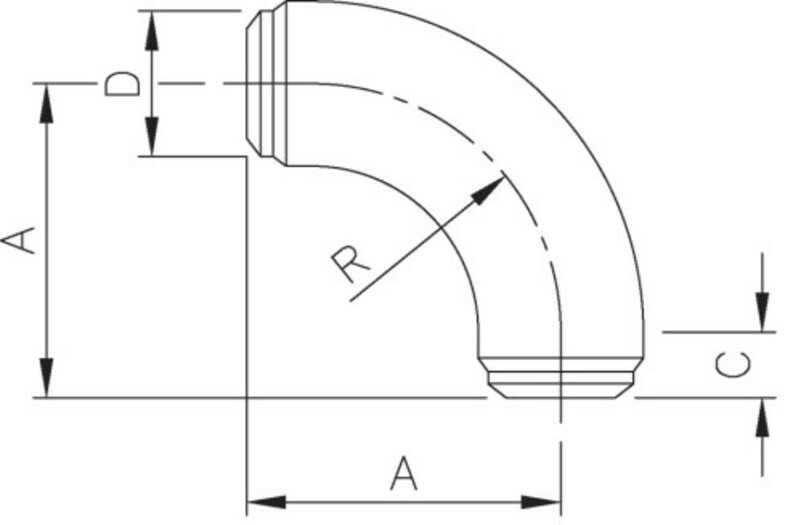 RBV Energy forged long sweep fittings are designed with a minimum 2D bend radius. They are suitable for full-flow applications such as cement and mud systems, where a minimum pressure drop is required. Long sweep elbows and tees are availalbe with independent design review, and are fully in compliance with ABS/CDS rules and DNVGL OS-E101 rules. Our long sweep manifold fittings come in a range of sizes and are available from stock for immediate delivery from our worldwide locations. Download our technical brochure or send us an enquiry for further information. We can also accomodate client specific requirements such as NORSOK.